A group of home owners who believe they were “mis-sold” their properties are preparing to sue the builders and the solicitors they used when they bought their homes. The home owners, who formed a Facebook group called the National Leasehold Campaign when they discovered that they faced huge increases in ground rent, say they were lied to by builders’ sales staff and badly advised by solicitors when they bought their newbuild homes. Thousands of people have demanded answers from the bosses of builders such as Taylor Wimpey, Bovis, Persimmon, Bellway and Redrow about why they were told their homes were “virtually freehold” when their leasehold homes had onerous ground rent terms written into the leases, which were later secretly sold to investors. Telegraph Money has previously highlighted the plight of home owners whose leases include provisions that can mean ground rents double every decade. The only way owners can avoid the ground rent increases is to buy the freehold – which can involve very large sums. Ian Thomson’s case is typical. He bought a Taylor Wimpey house in 2011 and was told by sales staff that he could buy the freehold for £5,000 within five years. Ground rent on the property started at £295 and will double every 10 years for 50 years, eventually reaching £9,440 a year, but Mr Thomson’s solicitor failed to draw his attention to the clause. Taylor Wimpey stopped selling leasehold houses in January and is currently reviewing leases with doubling ground rents (but not those with rises linked to inflation). The results of the review are due next month. The company refused to explain why customers were routinely told that they could buy their freehold at a later date when it was actually the company’s strategy to sell the freeholds to investment companies. Mr Madders is a member of a parliamentary group on leasehold reform, which is calling for all builders to stop selling houses as leasehold, as opposed to freehold, where there is no justification for doing so. Lenders typically use the same conveyancer as the buyer during a house purchase, and rely on him or her to point out terms in the lease that might affect the property’s value in future. But many conveyancing solicitors have either failed to spot ground rent rises or failed to explain the financial implications to buyers or lenders. 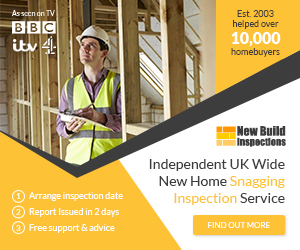 Controversially, many of the solicitors involved were recommended by the builders, with some purchasers claiming that they were forced to use certain firms. Legal experts say this would amount to a conflict of interest and go against the Consumer Code for Home Builders, which says they “must not restrict the homebuyer’s choice of legal representative”. Telegraph Money has seen a reservation document for a Taylor Wimpey home where the buyer was given £4,000 towards legal costs with “Nom sol only” (nominated solicitor) clearly written in the terms of sale. Mari Knowles, a partner at Leasehold Law, suggested that affected home owners get their legal file reviewed by a specialist and then consider legal action against the conveyancer. She has spoken to groups of leaseholders on affected estates to explain their options and reviewed a number of case files. Some home owners may be considering simply withholding ground rent payments to the investment companies that now own the land on which their homes stand. But freeholders have rights and their ultimate weapon is the threat of forfeiture: the return of the entire asset to the freeholder with zero compensation to the “owner”. Around 65 leasehold properties are forfeited a year. Joanne Darbyshire, 46, and her husband, Mark, 47, bought a five-bedroom house in Bolton from Taylor Wimpey in 2010. The couple, who have two children aged 16 and eight, weren’t offered the option of buying the freehold when they purchased the property but understood that it could be bought for about £5,000‑£6,000 at any point in the future. The Darbyshires used a firm of solicitors recommended by Taylor Wimpey but the conveyancer failed to alert them to the onerous ground rent clauses in the property’s lease or the risk of the freehold being sold on. Both will have an impact on the property’s future value. The ground rent on the house began at £295 a year and is due to double every 10 years. This means that in 50 years’ time the ground rent will be £9,440 a year. “In 2012 Taylor Wimpey sold our lease to a company called Adriatic Land 2 (GR2) – something we were unaware had any implications until the sale of a neighbour’s house fell through last year,” Mrs Darbyshire said. “Adriatic bought the freeholds on 24 of the 45 houses on our estate for £177,000, or £7,375 per property. We were not offered the chance to buy the freehold when the leases were sold; if we had been informed what would happen next we would have bought it. Together with her neighbours, she is calling for financial redress from Taylor Wimpey that would put her in the same position as if she had purchased a freehold home. She is also considering a professional negligence case against the solicitors. Attempts to contact Adriatic for comment were unsuccessful.